The price of gold in Vietnam moodily fluctuated on September 14 as the heavy metal wildly changed on global market. Saigon Jewelry Company, the biggest gold shop in Vietnam, bought gold at VND47.12 million and sold at VND47.32 million at 11 am local time. Earlier, the metal jumped by VND350,000 a tael over the previous day to VND47.5-47.6 million but it soon declined as global price weakened. 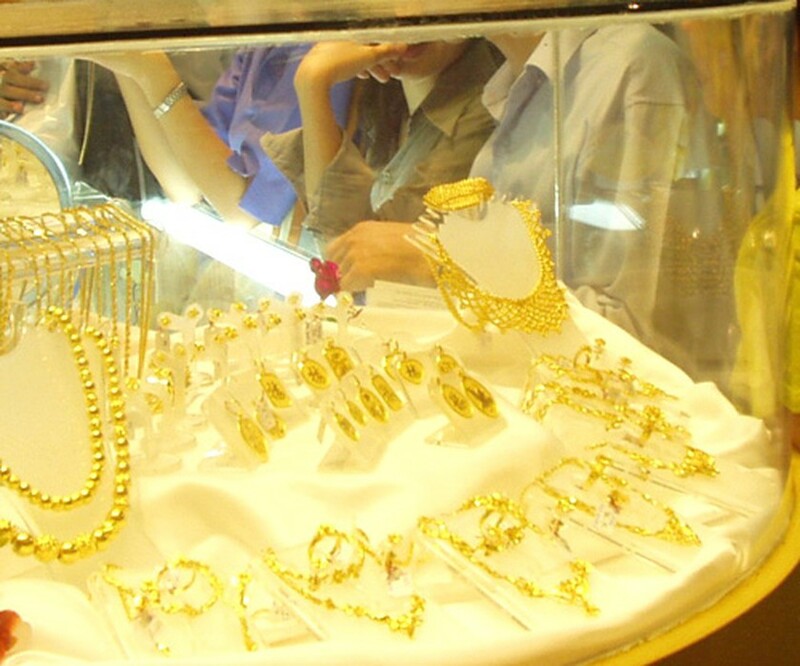 Hanoi-based Phu Quy Jewelry Company purchased SJC-brand gold at VND47.15 million and sold at VND47.4 million at the same time. 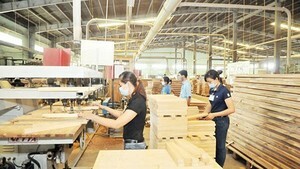 Domestically, gold fetched around VND1.2-1.3 million a tael higher than global price. On foreign currency market, the dollar exchange rate jumped over VND21,000 on free market this morning. The greenback was bought at VND20,960 and sold at VND21,020, an increase of VND60 per dollar over the previous day. Meanwhile, the rate at commercial banks remained at a standstill. Internationally, gold advanced as concern over the European sovereign-debt crisis spurred demand for the metal as a safe-haven. Gold for immediate delivery gained nearly $20 an ounce to close at $1,835.2 an ounce on the Comex in New York. In Asia, the metal strongly bounced at the beginning of the trading session this morning. However, it soon sharply retreated due to profit-taking. Spot gold stood at $1,836 an ounce at 11 am Vietnamese time. The euro exchange rate against the greenback was at above $1.36 in Tokyo this morning. Crude oil futures for October delivery fell $1.3 a barrel over the closing price in New York to trade at $88.91 a barrel on the New York Mercantile Exchange at 11:30 am Vietnamese time.